(OPride) — The Oromo student protests in Ethiopia, which began last month in opposition to Addis Ababa’s controversial expansion, continued this week. Tens of people have been killed while hundreds were wounded or jailed since the protests started in April. On May 14, locals said at least three people were killed and more than 100 wounded in Nekemte town, western Oromia where federal Special Forces have besieged the regional Wallaga University. Protests have spread to neighboring Najjo and other parts of Oromia on Thursday. Why is the Ethiopian regime obsessed with Finfinne and its surroundings? Is to alleviate infrastructural and other societal challenges the city faces? Who is the real mastermind behind this entire project? Who are the key players in this game? Is the project environmentally and socially viable? Does the latest plan fulfill the legal and technical requirements of transboundary city master plans? Do the international experts or consultants behind the master plan comprehend the local political and socio-economic contexts? Why did the Addis Ababa city administration fail to focus on optimizing its land use based on sound research and fair distribution of wealth instead of resorting to a politically driven land grab? These are the questions that Oromo students and Oromo people are raising in and outside of the country. Over the last few decades, the Ethiopian capital have seen a very rapid lateral expansion, mainly characterized by randomly scattered legal and illegal housing developments and business dwellings. This unplanned, spontaneous expansion resulted in massive spatial changes especially in the past 50 years, according to Fantahun Tesfaye. Studies show that Addis Ababa’s landmass tripled from 80 square kilometers in 1960s to 250 in 1985 and doubled to 540 square kilometers in 2010. The new plan will stretch the city’s area to more than a million square kilometers. The swift spatial enlargement is compounded by rapid urbanization, complicating the city’s chronic inability to meet growing demands. Addis is urbanizing at a rate of 4.2 percent every year with 40 percent annual rural-urban migration, according to a study by the UN-Habitat. The city’s most acute problems are its inefficient utilization of land and rapid growth of population as opposed to the shortage of land that the authorities often claim. Addis Ababa’s sprawl is characterized by inefficient use of land with a replica of detached single-story family houses surrounded by a compound. This typology raises environmental concerns “unless the trend is intercepted and backed up by proper land use planning and densification schemes that promote vertical extensions,” according to Fantahun. In addition, several studies indicate the need for comprehensive long-term planning and densification schemes and taking control of fast paced urbanization. Failure to implement efficient, equitable and strategic land use and public infrastructure plans led to the continuous invasion of green fields at the expense of prime farmlands. Wealthy and corrupt businessmen, who are either part of the ruling party or their foreign allies, have bought up large swaths of land both in and around the city outskirts. Even though it’s subject to changes based on the availability of resources and local context, urban master plans typically contain ten basic elements. These include: goals and policy statements, land use plan, natural and cultural resources preservation, water resource protection, housing, economic development, open space and recreation, service and facilities, transportation and implementation program. In what is known among planners as ”slow but steady” approach, the planner may choose to focus only on some of the basic elements or prepare a customized plan through the “mosaic” approach. No matter how one chooses to prepare the scheme, urban planners are required to consider these elements in their overall planning process. Transparent public consultation and participation on each component is one of the decisive factors both during preparation and implementation phases. Addis Ababa’s master plans rarely applied these basic tenets of urban planning. The city’s key problems pertain to zoning and poor land utilization. Old squatter settlements had irregular plot subdivision. Massive manufacturing and government establishments occupy large urban land. I conducted a graduate-level research on the freight transport behavior in Addis Ababa and its challenges. 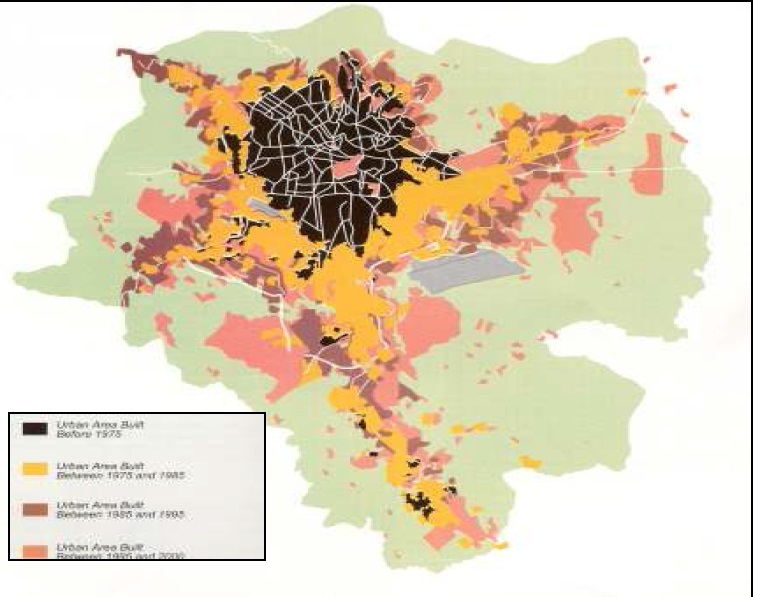 Through interviews with city planners and review of documents related to the land use and transportation, I found that Addis Ababa’s future policy direction was focused mainly on decentralizing the city to the surrounding suburbs. Besides, the policy gives little or no consideration to the welfare and well being of poor Oromo farmers who are already squeezed from all directions. Previous master plan implementation was also rife with shortcomings. The city faces massive corruption, illegal land occupation and poor waste disposal practices and a severe lack of organizational and administrative capacity, logistics and skilled planning personnel. Political or administrative planning takes the lion’s share of the city’s problems. The city administration is monopolized by political appointees and lacks technical researchers who can remedy its urbanization challenges. The deeply ingrained corruption drives these politicians motives to always look for more land that they could offer to highest bidders on the city’s peripheries. Addis Ababa, which Oromos call Finfinne, is the focal point of Oromia’s geographic orientation. That’s why Oromos refer to the city as ”Handhura Oromiyaa.” Oromia’s boundaries to the north and south of Finfinne is a short stretch, approximately about 100km, as opposed to its East-West borders. In other words, the extension of Addis Ababa’s metropolitan area within 100km radius could mean the partition of Oromia. It would potentially detach Macha and parts of Tulama Oromo from their kins in eastern Oromia. Despite its history as Oromo land, Finfinne does not reflect the cultural and socio-economic values of the Oromo people. The settlers have monopolized the city both culturally and economically, excluding or displacing native dwellers. Furthermore, despite a symbolic Mayoral post occupied by an Oromo, the city is administered by powerful Tigrean deputies. For Oromia, the loss of several administrative woredas to Addis Ababa means lack of representation in the house of peoples representatives, which ultimately contributes to the extinction of an already weakened Oromo voice. The biggest losers under this project are obviously Oromo farmers who have to give up their land. In Ethiopia, the state owns all land. This leaves the disfranchised farmers without any constitutional grounds to defend their property rights. This is the grim and little known face of Finfinne and its environs since the city’s creation some 127 years ago. In addition to the disruption of livelihood at the household level, under the proposed plan, the state of Oromia will also lose a huge chunk of tax money and other revenues generated from surrounding cities. The social crises brought about by Addis Ababa’s expansion over the last century are irreversible, to the extent that the identity of many of the Tulama Oromo clans who once lived in the area was exterminated through exile and assimilation. Unless this trend is stopped, in the long run, the fate of the entire Tulama Oromo will not be different. It’s culture, language and other social values will slowly vanish as did the cultural fabric of Finfinne’s original inhabitants. Time and again, Oromo students have challenged efforts to change the city’s constitutionally guaranteed status. 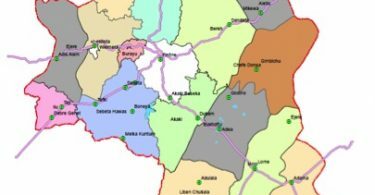 Other Oromo cities such as Jimma, Dirre Dhawa and Bishoftu face similar encroachment. The ongoing Oromo student protests require every Oromo’s active support and participation. Oromo engineers and urban planners must continually assess technical and jurisdictional issues and inform the public. Oromo journalists, politicians, legal professionals and social scientists should continue to deconstruct the state’s development schemes. The diaspora should continue to ramp up its diplomatic and advocacy work raising awareness about human rights abuses against our people in Ethiopia. Non-Oromo citizens of the city should know that the goals of the ongoing protests is neither to harm them nor to declare the absolute supremacy of the Oromo people over the city. It is simply an attempt to prevent another round of the displacement of Oromo farmers and preserve Oromo’s cultural heritage. Forced displacement poor farmers should alarm all freedom loving individuals and Addis Ababa dwellers must stand in solidarity with the #OromoProtests. The Addis Ababa city administration should immediately halt its provocative project which could hamper the country’s peace and security. The fervent opposition should give municipal authorities a renewed impetus to consider alternative, optimum and efficient land utilization within its existing boundary. It is time to build affordable housing projects which can accommodative its growing population. The city should look for better ways to promote advanced infrastructural facilities which don’t take up a lot of land and most importantly stem out corruption to ensure good governance and equitable wealth distribution. 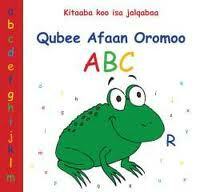 Should language disqualify my Oromo identity?